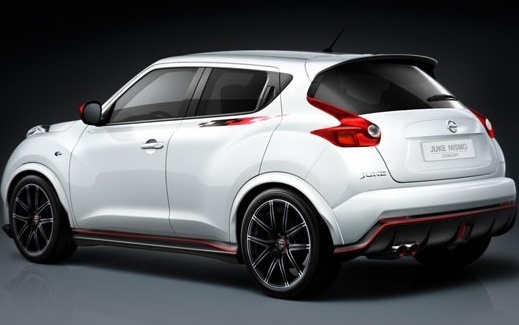 The Juke Nismo Concept comes with a 1.6-liter turbo engine with some unnamed technology to enhance power and speed. It has lower -wider and tougher suspension, wider 19 inch wheels, arger Brembo brakes, slotted rotors up front, stiffer springs and shocks. There is nothing more currently from nissan about the concept. If it is going to be available then it will be most probably in the first half of next year. 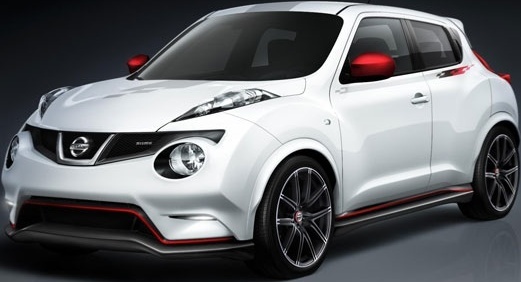 Tags:Nissan Juke Nismo, Nissan Juke Nismo features, Nissan Juke Nismo details, Nissan Juke Nismo availability, Nissan Juke Nismo specs, Nissan Juke Nismo images, Nissan Juke Nismo pics, Nissan Juke Nismo pictures, Nissan Juke Nismo Concept. 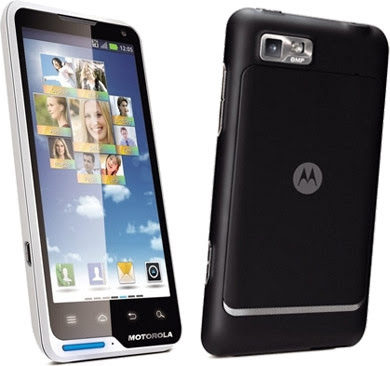 Motorola XT928 Dinara features 4.5 inch Gorilla Glass display with 1280x720 pixel resolution(720p HD), powered by dual-core 1.2 GHz processor with 1GB RAM, runs on Android 2.3 Gingerbread OS. It comes with 16GB of storage which can be expanded upto 32GB. The Motorola XT928 Dinara sports 13.1 megapixel rear camera capable of 1080p full HD video capture and also has a 1.3 megapixel front camera. Technologies support includes Dolby Digital Plus audio technology, might be a dual-networks supporting handset with dual-mode and dual-standby, supports 3G network. The Motorola XT928 Dinara is currently available in China via China Telecom exclusively, price unknown. Tags:Motorola XT928 Dinara, Motorola XT928 Dinara features, Motorola XT928 Dinara specifications, Motorola XT928 Dinara review, Motorola XT928 Dinara details, Motorola XT928 Dinara availability, Motorola XT928 Dinara specs, Motorola XT928 Dinara images, Motorola XT928 Dinara pics, Motorola XT928 Dinara pictures, Motorola XT928 Dinara imgs, Motorola XT928 Dinara price,Motorola XT928 Dinara Network options, Motorola XT928 Dinara Expansion options, Motorola XT928 Dinara multimedia features, Motorola XT928 Dinara Sensor options. ASUS U46SV features 14-inch 16:9 HD Color-Shine display with 1366x768 pixel resolution, powered by Intel Core i5 2410M 2.3GHz processor with 4GB RAM, runs on Windows 7 Professional 64-bit OS. 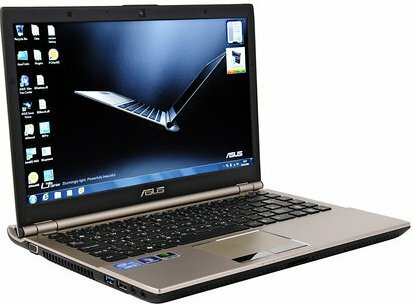 It comes with 500GB storage hard disk and nVidia GeForce GT540M chipset for graphic acceleration. 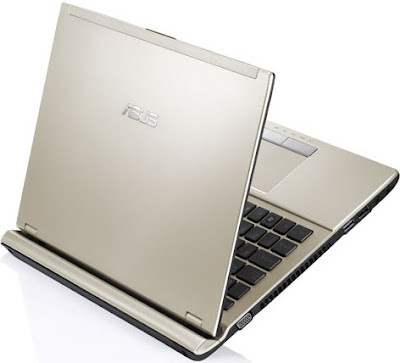 Other features of ASUS U46SV includes 3 USB ports(1 USB 3.0), HDMI, Ethernet, standard D-Sub monitor connector, HD WebCam, headphones and microphone ports, 4 -in-1 card reader, an optical drive, built-in 802.11n Wi-Fi. The ASUS U46SV delivers ten hours of battery back-up and weighs 2.08kg. It's price will be around 700 EURO's(Rs. 50,000). Tags:ASUS U46SV, ASUS U46SV features, ASUS U46SV specifications, ASUS U46SV review, ASUS U46SV details, ASUS U46SV availability, ASUS U46SV specs, ASUS U46SV images, ASUS U46SV pics, ASUS U46SV pictures, ASUS U46SV price. 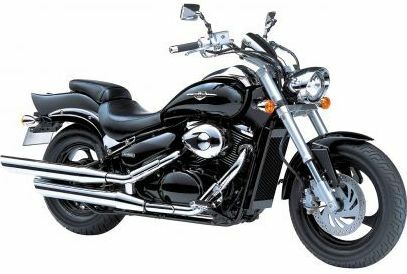 The Suzuki Intruder M800 comes with a 805 cc, 8-valve V-twin fuel-injected liquid-cooled 4-stroke 2-cylinder engine delivers torque from down low in the rpm range. 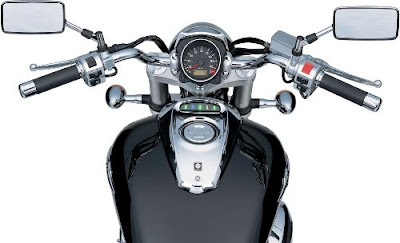 The fuel injection system with Suzuki Dual Throttle Valve (SDTV) delivers smooth low-to-mid-rpm throttle response and high torque output. It has 5-speed constant mesh type transmission. Other exciting fetures of Suzuki Intruder M800 includes Multi-hole-type fuel injectors, Automatic Idle Speed Control (ISC) system, 32-bit-prosessor Engine Control Module, Pulsed AIR (PAIR) injection system, Cast-aluminum 16-inch front/15-inch rear wheel. It has 15.5 L capacity fuel tank. The Intruder M800 launched in India in 12 cities - Ahmadabad, Bangalore, Chennai, Delhi, Hyderabad, Mumbai and Pune. It has a price tag of Rs 8.88 lakh (ex-showroom Delhi). 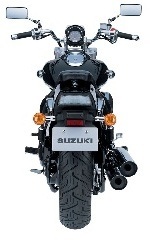 Tags:- Suzuki Intruder M800 details, Suzuki Intruder M800 features, Suzuki Intruder M800 specs, Suzuki Intruder M800 launch, Suzuki Intruder M800 mileage, Suzuki Intruder M800 india price, Suzuki Intruder M800 india details, Suzuki Intruder M800 india varients price, Suzuki Intruder M800 variants, Suzuki Intruder M800 pics, Suzuki Intruder M800 pictures, Suzuki Intruder M800 images. Aimed at tech-savvy ladies - the lady phone, Fujitsu Arrows Kiss F-03D features 3.7-inch TFT color LCD touchscreen with 480 × 800 WVGA resolution display, powered by Qualcomm’s MSM8255 single-core 1.4GHz processor with 1GB RAM, runs on Google's Android 2.3 Gingerbread OS. It is waterproof and has support for the Okudake-Juden wireless charging system. Fujitsu Arrows Kiss F-03D sports 8MP rear camera and has 1.3MP front camera. Other features includes microSDHC slot, Wi-Fi, Bluetooth 2.1+EDR, infrared, a digital TV tuner, e-wallet function, OneSeg mobile TV. The pre-installed apps like Beauty Body Clinic that monitors your posture, Sukkiri Alarm that wakes you when it thinks you’re ready and Karada Life, which is a pedometer app offering health advice. The Fujitsu F-03D has a dimension of 121 × 59 × 10.9 mm and Weighs 120 gms. It comes with a standard battery that delivers talktime of 320 minutes in FOMA 3G mode and 350 minutes in GSM voice mode, Standby time of 470 hours in FOMA 3G and 290 hours in GSM. The Fujitsu F-03D comes in two color options: Precious White with white and gold framing; and Elegant Pink with a pearl pink ambiance. When users receive call or message the area around the “gem-cut” buttons flashes up in one of 23 illumination patterns. The stylus provided helps user to make it easier to write Japanese characters. 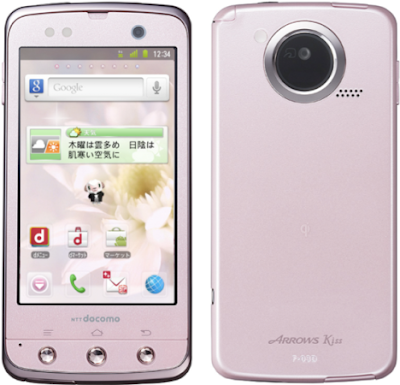 The Price of Fujitsu ARROWS Kiss F-03D is unknown currently and is available in Japan from NTT DOCOMO. Tags:Fujitsu Arrows Kiss F-03D, Fujitsu Arrows Kiss F-03D features, Fujitsu Arrows Kiss F-03D specifications, Fujitsu Arrows Kiss F-03D review, Fujitsu Arrows Kiss F-03D details, Fujitsu Arrows Kiss F-03D availability, Fujitsu Arrows Kiss F-03D specs, Fujitsu Arrows Kiss F-03D images, Fujitsu Arrows Kiss F-03D pics, Fujitsu Arrows Kiss F-03D pictures, Fujitsu Arrows Kiss F-03D imgs, Fujitsu Arrows Kiss F-03D price,Fujitsu Arrows Kiss F-03D Network options, Fujitsu Arrows Kiss F-03D Expansion options, Fujitsu Arrows Kiss F-03D multimedia features, Fujitsu Arrows Kiss F-03D Sensor options, ladies smartPhone. Fujitsu IS12T features 3.7-inch TFT LCD touchscreen display with 800×480 pixel resolution, powered by Qualcomm Snapdragon MSM8655 1GHz single-core processor, runs on Windows Mango 7.5 OS. It comes with 32GB of storage and supports CDMA and GSM connectivity. It comes with water-resistant and dust-resistant technology. Fujitsu IS12T sports 13.2MP CMOS auto focus rear camera with LED flash. Other features includes Wi-Fi 802.11b/g/n, Bluetooth 2.1 + EDR, microUSB port, DLNA support, integrated GPS, six-axis motion sensing, three color options – green, pink and black. The Fujitsu IS12T comes with a standard Li-ion 1460 mAH battery which provides 280 hours of Standby and 400 minutes of Talk Time. It has a dimension of 118 × 59 × 10.6 mm and weighs 113 gms. The Windows Phone 7.5 mobile OS will allow user to browse through Internet Explorer 9, read and edit Microsoft Office documents and also to store and share data through Windows Live SkyDrive, a free-of-charge cloud service operated by Microsoft with which users can store and share up to roughly 25GB of data. 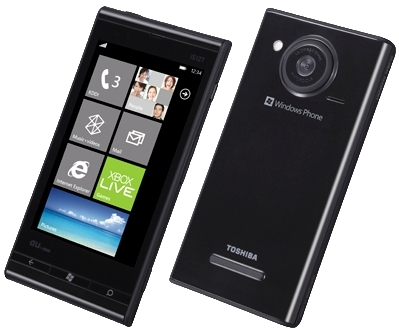 Fujitsu IS12T is available only in japan with a price US$459 (€334) with a two-year contract. Tags:Fujitsu IS12T, Fujitsu IS12T features, Fujitsu IS12T specifications, Fujitsu IS12T review, Fujitsu IS12T details, Fujitsu IS12T availability, Fujitsu IS12T specs, Fujitsu IS12T images, Fujitsu IS12T pics, Fujitsu IS12T pictures, Fujitsu IS12T imgs, Fujitsu IS12T price,Fujitsu IS12T Network options, Fujitsu IS12T Expansion options, Fujitsu IS12T multimedia features, Fujitsu IS12T Sensor options, smartphones, Windows Mango Phone OS smartphones, Windows Phone 7.5 OS. Samsung E1232B, a dual sim phone featuring 1.8inch TFT LCD display with 160 x 120 pixel resolution. It can have a storage of upto 4GB. 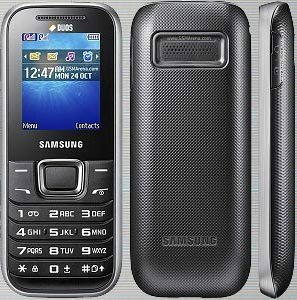 Other features of Samsung E1232B includes 3.5mm Audio jack, Bluetooth v2.1 with A2DP, Video/Audio Player, torch, anti-dust alphanumeric keypad, Stereo FM Radio. It comes in two color options - Black and White. The Samsung Hero E1232B comes with 1000 mAH Li-ion Battery which delivers a talktime of upto 11 Hours and a standby of 24 days. The E1232B weighs 75 gms and comes with a price tag of Rs. 1590. Tags:Samsung Hero Music E1232B, Samsung Hero Music E1232B features, Samsung Hero Music E1232B specifications, Samsung Hero Music E1232B review, Samsung Hero Music E1232B details, Samsung Hero Music E1232B availability, Samsung Hero Music E1232B specs, Samsung Hero Music E1232B images, Samsung Hero Music E1232B pics, Samsung Hero Music E1232B pictures, Samsung Hero Music E1232B price. 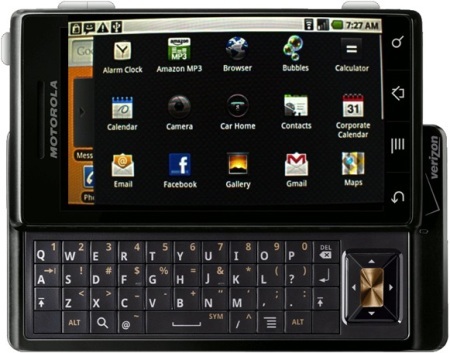 The Motorola Droid 4 features 4.0-inch TFT display with qHD resolution of 960×540 pixels powered by 1.2 GHz dual-core CPU with 1GB DDR2 RAM. Droid 4 comes with 16GB storage and can be increased further upto 48GB using expansion slot. 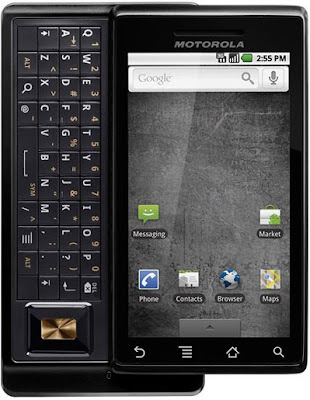 Motorola Droid 4 Sports 8MP rear camera as well as 1.3MP front camera. It is a world-phone radio with support for LTE, CDMA and GSM. 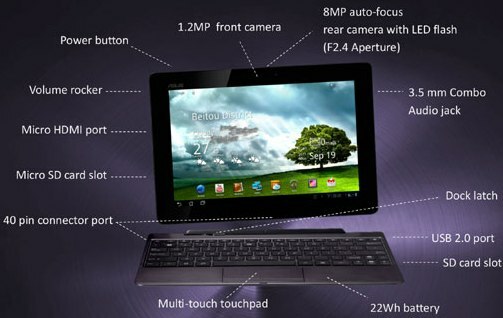 Other features includes 802.11 b/g/n, GPS, 1080p HD video support ,five-row slide-out keyboard, FM radio and Bluetooth. The Droid 4 has a dimension of 2.8 x 5 x .5 inches and weighs 179gms. It is powered by a high standard 1785mAh battery which delivers upto 12.5 hours of talk time and standby of upto 8.5 days. It is expected to launch on December 8. Tags:Motorola Droid 4, Motorola Droid 4 features, Motorola Droid 4 specifications, Motorola Droid 4 review, Motorola Droid 4 details, Motorola Droid 4 availability, Motorola Droid 4 specs, Motorola Droid 4 images, Motorola Droid 4 pics, Motorola Droid 4 pictures, Motorola Droid 4 imgs, Motorola Droid 4 price, Motorola Droid 4 Network options, Motorola Droid 4 Expansion options, Motorola Droid 4 multimedia features, Motorola Droid 4 Sensor options. Hyundai i10 Diesel is powered by a 1.1-litre turbocharged CRDi diesel engine that generates 75PS @4000rpm and 153NM of torque @ 1900-2750rpm. It comes with a 5-speed manual transmission gear box. It has a mileage of 14.2 Kmpl in city to 18.8 Kmpl in High way. Hyundai i10 Diesel will be launched in India by early 2012 at an expected price between Rs 4,50,000 and Rs. 5,35,000. 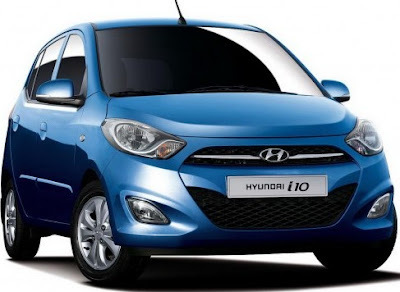 Tags:- Hyundai i10 Diesel details, Hyundai i10 Diesel features, Hyundai i10 Diesel specs, Hyundai i10 Diesel launch, Hyundai i10 Diesel mileage, Hyundai i10 Diesel india price, Hyundai i10 Diesel india details, Hyundai i10 Diesel india varients price, Hyundai i10 Diesel variants,Hyundai i10 Diesel pics, Hyundai i10 Diesel pictures, Hyundai i10 Diesel images, Hyundai i10 Diesel trim levels, Hyundai i10 Diesel launch details. Lenova IdeaPad U300s Ultrabook features 13.3 inch Ultra-slim HD Display with 1366×768 Pixel Resolution and runs on Windows 7 Home OS It is powered by 2nd Gen Intel Core i5 Processor with 4GB DDR3 RAM. Other features of IdeaPad U300s includes 128GB SSD storage, Intel GMA HD 3000 graphics, Turbo Boost Technology, Bluetooth, Wi-Fi, 1.3 Megapixel camera, USB 3.0, HDMI port, mic/headphone jack. The IdeaPad U300s Ultrabook weighs 1.3 kgs and has a price tag of Rs.67,900. 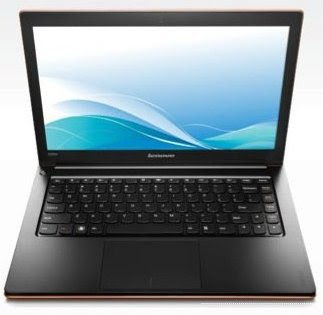 Tags:Lenovo IdeaPad U300s Ultrabook, Lenovo IdeaPad U300s Ultrabook features, Lenovo IdeaPad U300s Ultrabook specifications, Lenovo IdeaPad U300s Ultrabook review, Lenovo IdeaPad U300s Ultrabook details, Lenovo IdeaPad U300s Ultrabook availability, Lenovo IdeaPad U300s Ultrabook specs, Lenovo IdeaPad U300s Ultrabook images, Lenovo IdeaPad U300s Ultrabook pics, Lenovo IdeaPad U300s Ultrabook pictures, Lenovo IdeaPad U300s Ultrabook price. 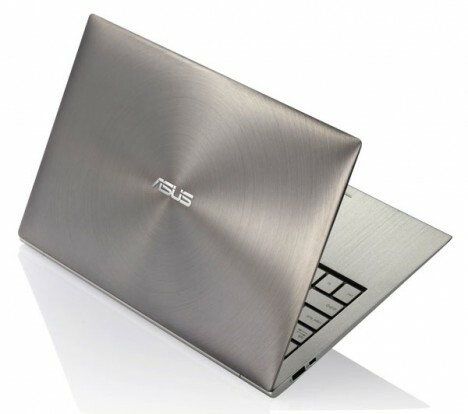 Asus Zenbook UX31Ultrabook features 13.3-inch with 1600 x 900 resolution displays(also an 11.6-inch display). It has a thickness of 0.11-inches at the front and 0.67-inches at the rear. The UX31Ultrabook is powered by Intel second-generation Core processors(i5/i7), has SATA Revision 3.0 SSD of 256GB/128GB, upto 8GB RAM, Bluetooth V4.0, a USB 3.0, USB-2.0, micro HDMI, mini VGA sockets, an SD card reader, mic/headphone jack, video camera and has a standby time up to ten days. The various technologies used in Zenbook UX31Ultrabook includes USB Charger+ technology allows the USB 3.0 port to recharge portable device, cooling technology using a V shaped channel improves airflow and cooling, Super Hybrid Engine II technology provides 25 percent more battery life than other Ultrabook designs, instant-on feature resumes the system in 2 seconds, when battery goes below 5 percent files are saved automatically. The Zenbook UX31 will be available in India with a price tag of Rs 89,999/-for the high featured one. Tags:Asus Zenbook UX31Ultrabook, Asus Zenbook UX31 Ultrabook, Asus Zenbook UX31Ultrabook features, Asus Zenbook UX31Ultrabook specifications, Asus Zenbook UX31Ultrabook review, Asus Zenbook UX31Ultrabook details, Asus Zenbook UX31Ultrabook availability, Asus Zenbook UX31Ultrabook specs, Asus Zenbook UX31Ultrabook images, Asus Zenbook UX31Ultrabook pics, Asus Zenbook UX31Ultrabook pictures, Asus Zenbook UX31Ultrabook price. Samsung N102 features 10.1 inch anti-glare display with 1024 x 600 pixel resolution, powered by a Intel N435 processor with 1GB RAM, Intel GMA 3150 Integrated Graphics, runs on MeeGo OS. It comes with 250GB HDD storage. Other features of Samsung N102 includes 1.3 Megapixel webcam, Memory Card Reader, VGA Port, Bluetooth v3.0, Wi-Fi 802.11 b/g/n, 2 x USB 2.0, Ethernet LAN, 3.5mm audio jack. It comes with a 3-cell battery and weighs 1.03 kgs. 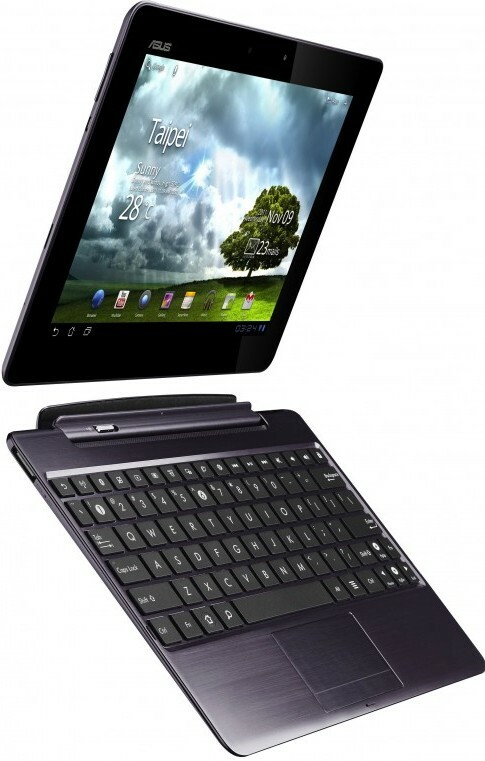 Samsung N102 Netbook comes with a Price tag of Rs. 14,800 ($299). 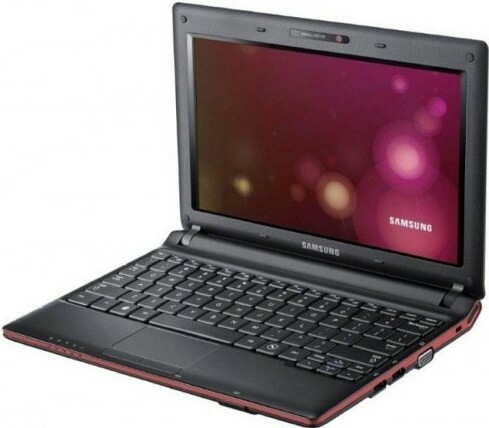 Tags:Samsung N102 Netbook, Samsung N102 Netbook features, Samsung N102 Netbook specifications, Samsung N102 Netbook review, Samsung N102 Netbook details, Samsung N102 Netbook availability, Samsung N102 Netbook specs, Samsung N102 Netbook images, Samsung N102 Netbook pics, Samsung N102 Netbook pictures, Samsung N102 Netbook price. 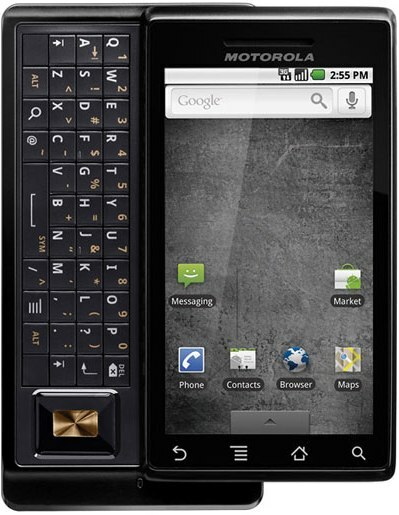 LG Prada K2 features a 4.3-inch NOVA display delivering around 1,000 nits of brightness, powered by a dual-core processor with 512MB RAM, runs on Google Android 2.3 Gingerbread OS. it comes with 16 GB internal storage. LG Prada K2 sports 8 Megapixel rear Camera with LED flash capable of HD Video Recording and also has 1.3 Megapixel front camera. Other features of Prada K2 includes 3G, Bluetooth, FM Radio, Wi-Fi and Multi-Format Audio Video Player. 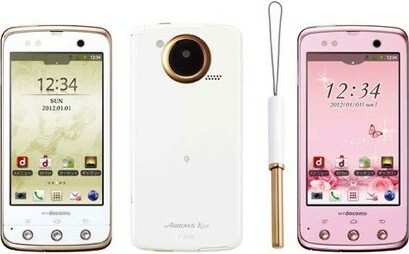 LG Prada K2 phone is expected in early 2012, price not known yet. 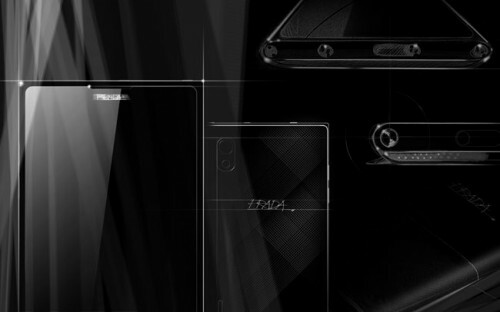 Tags:LG Prada K2, LG Prada K2 features, LG Prada K2 specifications, LG Prada K2 review, LG Prada K2 details, LG Prada K2 availability, LG Prada K2 specs, LG Prada K2 images, LG Prada K2 pics, LG Prada K2 pictures, LG Prada K2 imgs, LG Prada K2 price,LG Prada K2 Network options, LG Prada K2 Expansion options, LG Prada K2 multimedia features, LG Prada K2 Sensor options, smartphones. The XAGE M144 features 2.0-inch color screen and sports a 3.2 mega pixel rear camera. With microSd card support you can increase the storage upto 8GB. It has Ultra Small Track Pad with 3 Dimension Metal Body. It provides Dual Standby also. 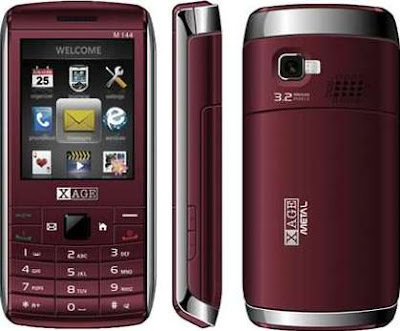 Other features of XAGE M144 includes Bluetooth with A2DP, WAP/GPRS, High Definition MP4 Player and MP3 Audio Player, yahoo messenger, twitter, facebook, msn, 1000 Phonebook records. It comes with standard 1000 mAh Li-ion Battery. The XAGE M144 is currently available in India for Rs.2,699. Tags:XAGE M144, XAGE M144 features, XAGE M144 specifications, XAGE M144 review, XAGE M144 details, XAGE M144 availability, XAGE M144 specs, XAGE M144 images, XAGE M144 pics, XAGE M144 pictures, XAGE M144 price, Dual battery Phone, Dual sim Phone. 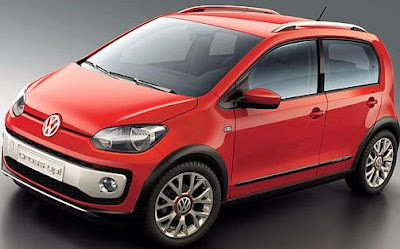 Volkswagen Up, a 3/5-door 5 seater is powered by 3 Cylinder 1198cc 59Bhp(base version) turbo-charge direct injection petrol engine. Higher-end versions with same engine generates 74bhp of max-power and 110Nm of max-torque. 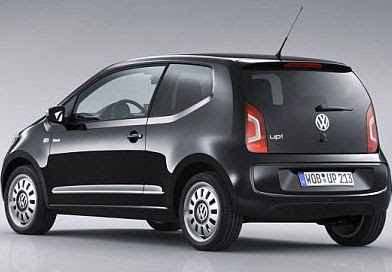 Volkswagen Up has a mileage of 24 kmpl. Other features of Volkswagen Up includes Power Windows, Air Conditioner, Tachometer, Tripmeter, front airbags, ABS, EBD, Fog lamps. Volkswagen Up Small will be available in India from early 2012 and the price range will be between Rs.3,00,000 to Rs.3,50,000. 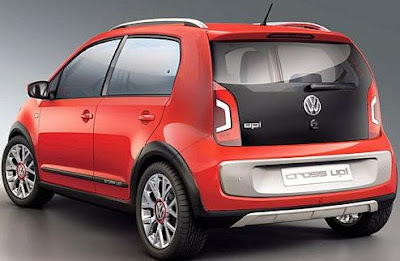 Tags:- Volkswagen Up details, Volkswagen Up features, Volkswagen Up specs, Volkswagen Up launch, Volkswagen Up mileage, Volkswagen Up India price, Volkswagen Up India details, Volkswagen Up India varients price, Volkswagen Up variants,Volkswagen Up pics, Volkswagen Up pictures, Volkswagen Up images, Volkswagen Up trim levels. The Idea Blade features 2.8 inch capacitive touch screen display with a resolution of 480 x 800pixels, powered by a 600MHz processor and ioffers 150MB of internal memory that is expandable up to 32GB with a MicroSD card. it Weighs 130 gm and has a dimension of 116 x 56.5 x 11.8 cms. The Idea ID 280 features 2.8 inch capacitive touch screen display with a resolution of 240 x 320pixels, powered by a 528MHz processor and offers 256MB RAM and 152MB of internal memory. It runs on a 1200 mAh battery. 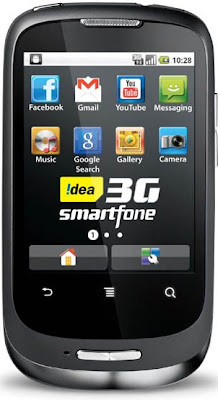 Common features of Idea Blade and Idea !D 280 includes Google Android 2.2 Froyo OS, 3.2 megapixel rear camera, GPS navigator software, FM radio, MP3 player, WiFi, Bluetooth, Facebook, Twitter, Orkut, browser, Operamini, pre-loaded Google and Youtube, Idea TV-which would be available for free for 3 months. The devices can operate as a mobile phone, a mini computer and also act as a Wi-Fi router. 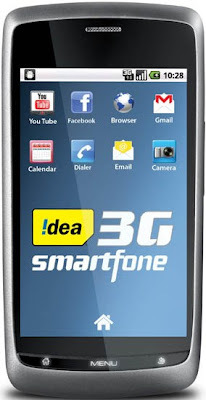 The Idea !D 280 originally priced at Rs 5,850, will be available to Idea 3G users for just Rs 2,609, and Idea Blade, which is originally priced at Rs 7,992 will be available to for Idea 3G users for Rs 4,751. Tags:Idea Blade, Idea Blade features, Idea Blade specifications, Idea Blade review, Idea Blade details, Idea Blade availability, Idea Blade specs, Idea Blade images, Idea Blade pics, Idea Blade pictures, Idea Blade imgs, Idea Blade price,Idea Blade Network options, Idea Blade Expansion options, Idea Blade multimedia features, Idea Blade Sensor options, smartphones, Idea ID 280, Idea ID 280 features, Idea ID 280 specifications, Idea ID 280 review, Idea ID 280 details, Idea ID 280 availability, Idea ID 280 specs, Idea ID 280 images, Idea ID 280 pics, Idea ID 280 pictures, Idea ID 280 imgs, Idea ID 280 price,Idea ID 280 Network options, Idea ID 280 Expansion options, Idea ID 280 multimedia features. Motorola XT615 features 4-inch Capacitive Touchscreen display with 854X480 pixel resolution powered by 800 MHz Qualcomm MSM7227A-0 processor with 512MB RAM, runs on Google Android 2.3 Gingerbread OS. 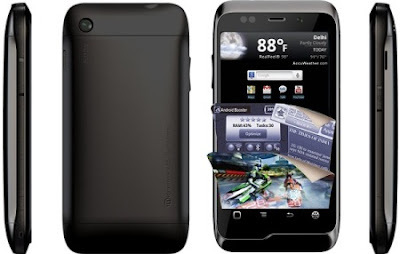 The Motorola XT615 comes with 1 GB ROM and the storage can be expandable upto 32GB. 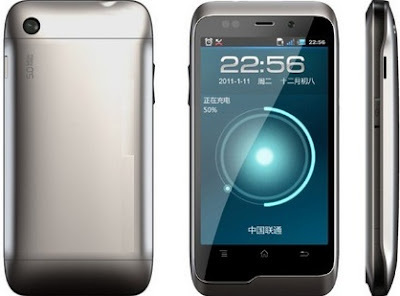 The XT615 sports an 8MP rear Camera with LED Flash and has front facing VGA Video Camera. The Network and other options includes Wi-Fi, Bluetooth, USB, 3.5mm audio jack, VGA Camera at Front for Video Chat, Multiformat Video/Audio Player. The Motorola XT615 comes with a standard 1390 mAh Li-Ion battery which provides up to 5 hours of talk time or up to 110 hours of standby time. 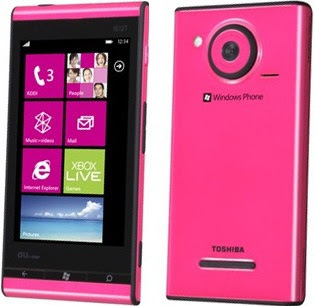 Available in December with a price tag of around $360 and in India by January at an expected price of Rs 17,500. 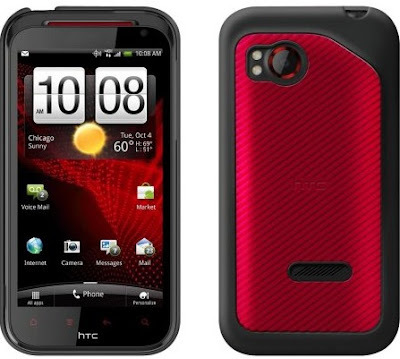 Tags:Motorola XT615, Motorola XT615 features, Motorola XT615 specifications, Motorola XT615 review, Motorola XT615 details, Motorola XT615 availability, Motorola XT615 specs, Motorola XT615 images, Motorola XT615 pics, Motorola XT615 pictures, Motorola XT615 imgs, Motorola XT615 price,Motorola XT615 Network options, Motorola XT615 Expansion options, Motorola XT615 multimedia features. JaxtrSMS, a mobile application that lets users send unlimited free text messages to any other phone anywhere in the world. 3. Send a text message to any other mobile phone, domestic or international. JaxtrSMS - The world's First FREE. and OPEN mobile to mobile texting application. Use JaxtrSMS to send and receive messages with any other mobile phone in the world for FREE. Save Money - Send text messages for FREE. Tags:JaxtrSMS, free sms APPS, free sms mobile app, fre sms mobile application, sending free SMS accross the world, JaxtrSMS features, JaxtrSMS requirements, JaxtrSMS working, JaxtrSMS how it works, free sms mobile application. 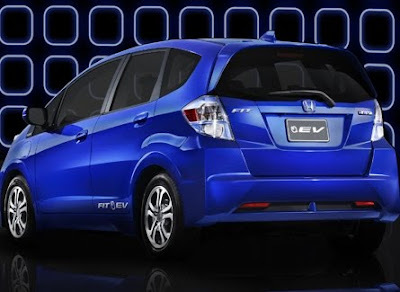 Honda unveiled the all-new 2013 Fit EV at the Los Angeles Auto Show, featuring cutting-edge technology like a 20kWh lithium-ion battery, three driving modes and a smart phone app to keep tabs on your battery’s state of charge. The standard Fit uses an economical 1.5-liter gasoline engine. Aside from some modifications to the dash and a special bio-fabric, the Fit EV is almost identical to a standard Fit on the interior. 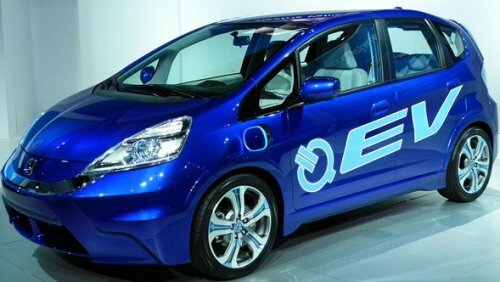 Honda removed the gasoline power train, replacing it with lithium ion batteries and an electric motor. The 20 kilowatt-hour lithium ion battery is packaged under the floor reducing cargo space. The battery gives the car a range of 123 miles but the EPA-rated range to come in at 76 miles. Honda includes a robust, 32 amp onboard charger, which can fill the battery in under 3 hours from a 240-volt outlet(Level 2 EVSE). Charging from a 110-volt outlet should take from 6 to 8 hours. With a navigation and a telematics system will let drivers remotely set charging schedules for the car from a Web site or smartphone app. The Fit EV will be available in one color: Reflection Blue Pearl. Honda expects to list the price at $36,625, before government tax credits or other incentives. But it will initially only be available for lease of $399 per month. The lease program begins with select markets in California and Oregon, then will expand to the East Coast in 2013. Tags:- Honda Fit EV details, Honda Fit EV features, Honda Fit EV specs, Honda Fit EV launch, Honda Fit EV mileage, Honda Fit EV india price, Honda Fit EV india details, Honda Fit EV india varients price, Honda Fit EV variants,Honda Fit EV pics, Honda Fit EV pictures, Honda Fit EV images, Honda Fit EV trim levels. The 2012 458 Italia Spider is equipped with a powerful 4.5L V8 4499 cc engine delivering a power of 570 bhp @ 9,000 rpm along with a peak torque of 542 Nm torque @ 6,000 rpm. The car takes just 3.4 seconds to reach 100 km per hour from rest. The top speed of the car is 320 km per hour. Fuel economy of the car is 7.5 km per liter. 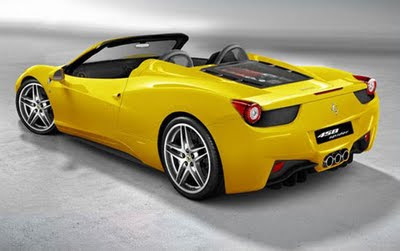 Ferrari 458 Italia Spider model is the first ever super sports car that carries a combination of mid-placed engine and hard retractable top. It is equipped with E-Diff3, F1-Trac, high-performance ABS. It has a Dual-clutch, 7-speed F1 Gearbox. 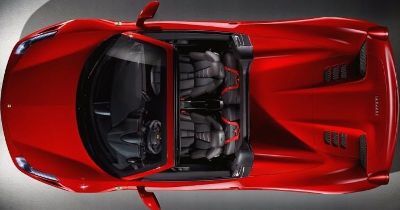 The all new Ferrari 458 Italia Spider model is currently available in US and has a price tag of $320,000. Tags:- 2012 Ferrari 458 Italia Spider details, 2012 Ferrari 458 Italia Spider features, 2012 Ferrari 458 Italia Spider specs, 2012 Ferrari 458 Italia Spider launch, 2012 Ferrari 458 Italia Spider mileage, 2012 Ferrari 458 Italia Spider india price, 2012 Ferrari 458 Italia Spider india details, 2012 Ferrari 458 Italia Spider india varients price, 2012 Ferrari 458 Italia Spider variants,2012 Ferrari 458 Italia Spider pics, 2012 Ferrari 458 Italia Spider pictures, 2012 Ferrari 458 Italia Spider images, 2012 Ferrari 458 Italia Spider trim levels. 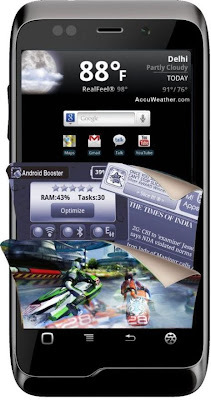 Micromax Superphone A85 features 3.8 inch Touchscreen display and is powered by Nvidia 1 GHz Cortex-A9 Dual Core processor with 512 MB RAM runs on Google Android 2.2 Froyo OS. It comes with 8GB of storage which can be expandable further upto 32GB. The Superphone A85 sports a 5 Megapixel rear camera and has a front VGA one. 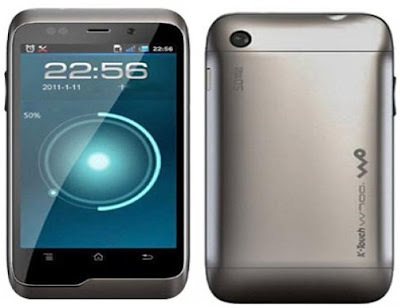 Other features of Superphone A85 includes 3G with 7.2 Mbps HSDPA (download speed) and 5.76 Mbps HSUPA(upload speed), Wi-Fi, Bluetooth, GPS, Stereo Fm Radio . The Superphone A85 is powered by a standard 1500 mAh Battery which delivers talk time of upto 3 hours and standby of 250 hrs. Main Apps include YouTube, Google Talk, Picasa, Gmail. It comes with a price tag of Rs. 15,290/-INR. Tags:Micromax Superphone A85, Micromax Superphone A85 features, Micromax Superphone A85 specifications, Micromax Superphone A85 review, Micromax Superphone A85 details, Micromax Superphone A85 availability, Micromax Superphone A85 specs, Micromax Superphone A85 images, Micromax Superphone A85 pics, Micromax Superphone A85 pictures, Micromax Superphone A85 imgs, Micromax Superphone A85 price,Micromax Superphone A85 Network options, Micromax Superphone A85 Expansion options, Micromax Superphone A85 multimedia features. HP Folio Ultrabook 13 features 13.3 inch HD LED display with 1366 x 768 Pixel Resolution, powered by Intel Core i3/i5 processor with 4GB Ram and runs on Windows 7 OS. It comes with 128GB SSD storage. Ultrabook combines the benefits and advantages of the netbook with the full power and capabilities of a notebook.The HP Folio Ultrabook is 0.71 inches thick and weighs 3.28 pounds(1.5Kg). 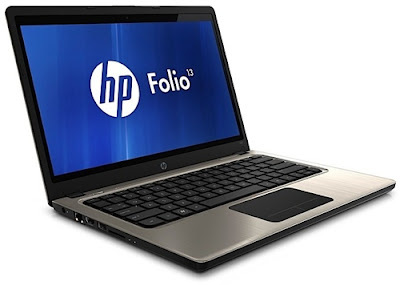 Other features of HP Folio Ultrabook 13 includes Super Multi Optical Disk Drive, Webcam, Mic in, Wi-Fi, Bluetooth, HDMI Out, Ethernet LAN, Multi Card Reader, HP CoolSense technology and 2 USB( a USB 3.0 port & a USB 2.0 docking station), VGA ports. The HP Folio Ultrabook provides a battery backup of up to nine hours. The HP Folio Ultrabook 13 comes with a price tag of $900. 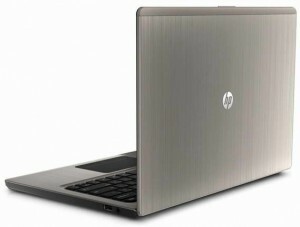 Tags:HP Folio Ultrabook, HP Folio Ultrabook features, HP Folio Ultrabook 13, HP Folio Ultrabook specifications, HP Folio Ultrabook review, HP Folio Ultrabook details, HP Folio Ultrabook availability, HP Folio Ultrabook specs, HP Folio Ultrabook images, HP Folio Ultrabook pics, HP Folio Ultrabook pictures, HP Folio Ultrabook price. Intex Royale features a 2.6 inch QVGA Display supporting 262K colours and it can have storage of upto 32GB. The Royale sports a 2 MP rear Camera. The Intex Royale has a dimension of 115x52x15.8 mm and weighs 105 gms. Currently available in India for a price of Rs.2,200. 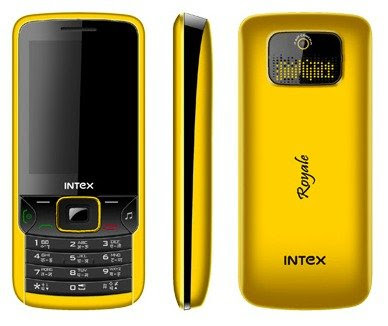 Tags:Intex Royale, Intex Royale features, Intex Royale specifications, Intex Royale review, Intex Royale details, Intex Royale availability, Intex Royale specs, Intex Royale images, Intex Royale pics, Intex Royale pictures, Intex Royale price. The Asus Transformer Prime features a 10.1-inch Super IPS+ display with 1280×800 pixel resolution, powered by new NVIDIA Tegra 3 quad-core processor with 1GB LP DDR2 RAM, runs on Honeycomb (3.x), but it will later update to Ice Cream Sandwich OS. The Transformer Prime sports 8 megapixel rear camera having f2.4 aperture with back-illuminated sensor (BIS), which captures more light than conventional sensors and has 1.2MP front camera. 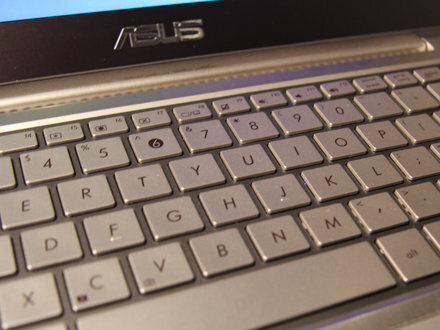 Transformer Prime can be connected with a closing latch to an optional keyboard dock. The overall weight is close to 1 kilogram in that configuration other wise just 586 grams. It is 8.3mm thin. Connectivity and other options includes WIFI B/G/N, Bluetooth 2.1+EDR, 3.5mm audio in+out connector, micro-HMDI, microSD reader, GPS, Gyroscope, Compass, G-sensor. The Transformer Prime comes in two colors: Amethyst Gray and Champagne Gold. The body of the Transformer Prime will be made out of metal. The tablet provides a backup of 12hrs. The 32GB ASUS Transformer Prime is priced at $499. The optional keyboard/doc will cost $149. 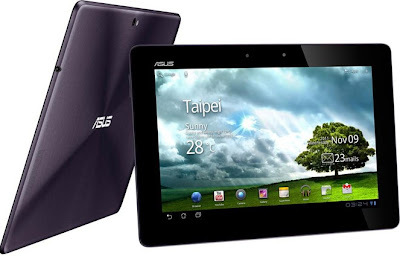 Tags:ASUS Transformer Prime tablet, ASUS Transformer Prime tablet features, ASUS Transformer Prime tablet specifications, ASUS Transformer Prime tablet review, ASUS Transformer Prime tablet details, ASUS Transformer Prime tablet availability, ASUS Transformer Prime tablet specs, ASUS Transformer Prime tablet images, ASUS Transformer Prime tablet pics, ASUS Transformer Prime tablet pictures, ASUS Transformer Prime tablet imgs, ASUS Transformer Prime tablet price,ASUS Transformer Prime tablet Network options, ASUS Transformer Prime tablet Expansion options, ASUS Transformer Prime tablet multimedia features, ASUS Transformer Prime tablet Sensor options. 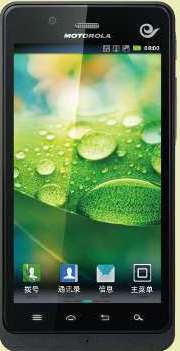 Micromax A85 features 3.8-inch TFT capacitive touchscreen with 480x800 pixel resolution, powered by 1GHz Nvidia Tegra 2 processor with 512 MB RAM, runs on older Android 2.2 Froyo OS. It comes with 8GB of storage which is expandable up to 32GB via microSD. 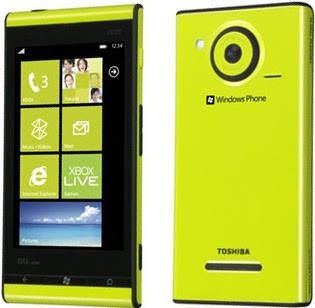 It sports a 5-megapixel rear camera capable of HD video recording and has a 0.3MP front camera. Apps bundled includes YouTube, Google Talk, Picassa, Ibibo Teenpatti, and Gmail. Connectivity options of Micromax A85 includes GPRS, 3G, GPS, Wi-Fi and Bluetooth. Sensor options includes Proximity sensor for auto turn-off, Accelerometer sensor for UI auto-rotate. The Micromax A85 come with a standard Li-Ion 1,500 mAh battery which provides talk time of up to 3 hours and standby time of up to 250 hours. The Micromax A85 is now available on both LetsBuy and Flipkart for Rs. 18,990. Tags:Micromax A85, Micromax A85 features, Micromax A85 specifications, Micromax A85 review, Micromax A85 details, Micromax A85 availability, Micromax A85 specs, Micromax A85 images, Micromax A85 pics, Micromax A85 pictures, Micromax A85 imgs, Micromax A85 price,Micromax A85 Network options, Micromax A85 Expansion options, Micromax A85 multimedia features, Micromax A85 Sensor options. HTC Rezound features 4.3-inch 720p HD touch display powered by 1.5 GHz dual-core processor with 1 GB RAM and runs on Ice Cream Sandwich OS. It comes with 16GB of storage which can be expandable further upto 32GB using microSD card. Connectivity options of Rezound includes Wi-Fi 802.11 a/b/g/n, DLNA, Wi-Fi hotspot, 3G, Bluetooth v3.0 with A2DP, microUSB v2.0, GPS with A-GPS support. The Rezound will cost US$299 with a Verizon 2-year contract and will be available online, in Verizon stores and at Best Buy on Nov. 14. Tags:HTC Rezound, HTC Rezound features, HTC Rezound specifications, HTC Rezound review, HTC Rezound details, HTC Rezound availability, HTC Rezound specs, HTC Rezound images, HTC Rezound pics, HTC Rezound pictures, HTC Rezound imgs, HTC Rezound price,HTC Rezound Network options, HTC Rezound Expansion options, HTC Rezound multimedia features, HTC Rezound Sensor options, smartphones.